Clearly not all speeches are created equal, just like every thing else in life. However, have you ever thought about all the speeches that were penned, only to never be breathed into existence? After all, when you hire speech writers, typically you anticipate giving said speech. Yet event after event, public speaker after public speaker, features an array of just-in-case speeches. Just-in-case speeches are as important as those speeches that are actually audible. In fact, if you are planning on winning or losing a contest, or you are giving a speech in which you are unclear of the audience, it is not a bad plan to have a backup speech, yourself. Without further ado, here are some of those just-in-case speeches that never saw the light of day. Whether or not you are a fan, supporter, or hater of this political figure, you may be interested in the Palin just-in-case speeches. 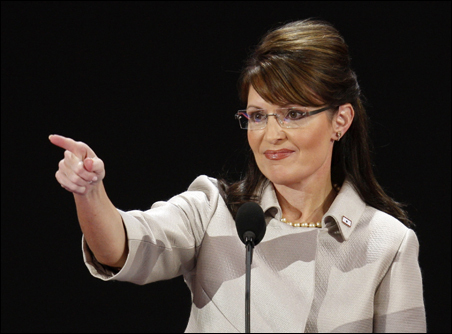 First of all, let’s just make it clear: Palin did not write her own speeches; Matthew Scully wrote them both. Still, she had two just-in-case speeches–one for her victory and one for her concession, as noted by Mental Floss. Along these lines, did you know that there are five different versions of Abraham Lincoln’s monumental “Gettysburg Address”? That’s right, there isn’t a single person alive today that can be sure we are reading the actual words Lincoln wrote and spoke on that fateful day. So while Lincoln did not write a just-in-case speech, his most famous speech is just as curious as those listed above. Miranda B is a writer with a penchant for historical failures, words of wisdom from unlikely sources, and lettering–not in any specific order.